A senior civil servant has admitted to MPs and peers that the government’s industrial strategy will not be “fit for purpose” unless it corrects its failure to consider disability and other equality issues in a green paper it published in January. Alex Williams, the civil servant responsible for sector deals* for the Department for Business, Energy and Industrial Strategy (BEIS), was twice forced to acknowledge to the all party parliamentary group for disability (APPGD) that the government’s industrial strategy would need to address the previous failure to mention disability and equality issues, when it is published later this year. In its first meeting of the new parliament, the APPGD focused on the government’s attempts to halve the disability employment gap. 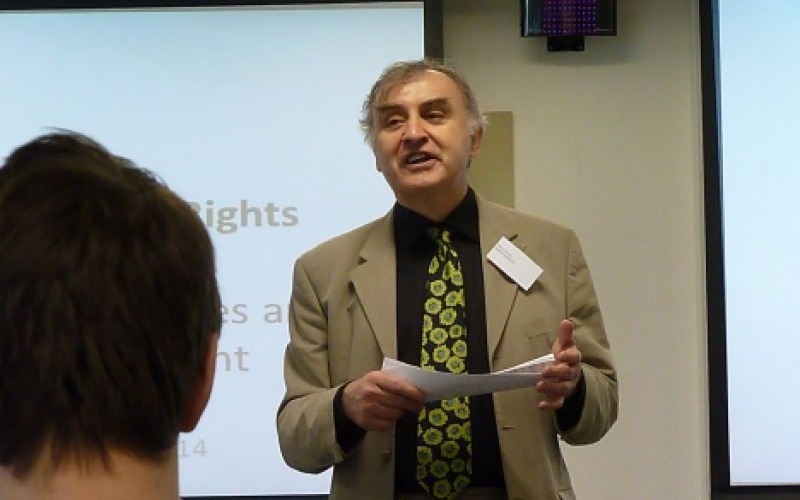 But Philip Connolly (pictured), policy manager for Disability Rights UK (DR UK), told the meeting that both the green paper and the government’s earlier national infrastructure plan “may not even be legal documents” because of their “complete omission of equalities”. He said he believed the government had breached its public sector equality duty to look at all of its policies and programmes through the “prism” of equality and fairness, and he asked why there was “a complete omission of equalities in the drawing up of these documents”. Despite the equality duty, there is not a single mention of disability or disabled people, or even equality, in the 132-page Building Our Industrial Strategy green paper, while there is just one mention of disability (relating to investment in special educational needs) and no mention of equality in the 113-page 2016 National Infrastructure Delivery Plan. According to DR UK, the national infrastructure delivery plan references more than 600 projects worth more than £483 billion of public expenditure (including £48.6 billion on social infrastructure, £88.4 billion on transport, and £9 billion on housing), while the draft industrial strategy mentions about £64 billion of public spending. Williams told the meeting: “The document wasn’t our industrial strategy, it was very much a call to action to contribute to what our industrial strategy should be. When Connolly then asked the government to “prove that disabled people are being listened to and you are complying with your legal duties”, Williams added: “Yes, that message is being very, very clearly registered with me. Connolly was one of the authors of Ahead Of The Arc, a report published by the APPGD in December on how to halve the disability employment gap, which called on the government to adopt a “new, innovative and multi-dimensional approach combining incentives, persuasion, funding and legislation”. After the meeting, Connolly told Disability News Service: “The [industrial strategy and national infrastructure]documents play into a toxic narrative that starts with cutting benefits, proceeds to reduced back-to-work employment support, and ends in invisibility in the country’s economic policies. A newly-elected disabled MP, Labour’s Jared O’Mara, told the meeting that the government’s cuts and reforms to legal aid had made it much harder for disabled people to take employment tribunal cases when their employers had failed to make reasonable adjustments for them at work. He said this meant that the Equality Act was “just legislation on paper and it just has no teeth”. In April, a report by the Equality and Human Rights Commission found that government reforms to legal aid in England and Wales had harmed disabled people’s access to justice in family law, housing, employment, debt and benefits cases. It also said there had been a 54 per cent drop in employment tribunal claims on the grounds of disability discrimination between 2012-13 and 2015-16, following the introduction of tribunal fees of up to £1,200 across Britain in July 2013. 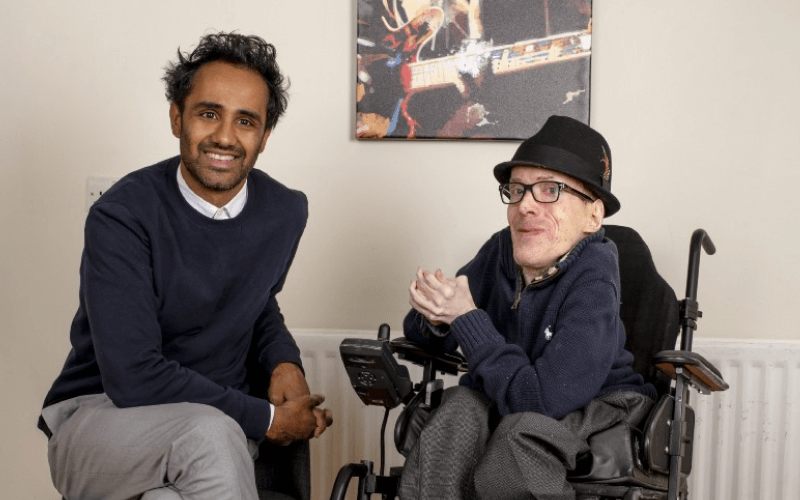 The government’s Disability Confident employment campaign was also heavily-criticised in the meeting, by another of the Ahead Of The Arc’s authors, Professor Kim Hoque, of Warwick Business School. He said there were “pretty severe doubts” that enough employers would sign up to the scheme to make a significant impact, and that even if they did, there was no guarantee that they would introduce the necessary changes to their policies and practices. He said Disability Confident would only have an impact on disability employment if enough large, private sector employers signed up, and he had doubts that they would. The latest figures from the Department for Work and Pensions show that of 41 employers that have achieved the highest Disability Confident “leader” status, there appear to be only four large mainstream corporate employers – Barclays, Fujitsu, KPMG and Lloyds Banking Group – that are not involved in disability or providing employment services. He co-led research that found three years ago that Two Ticks, the predecessor for Disability Confident, was nothing more than an “empty shell” used as a public relations tool. That study found that one in five Two Ticks workplaces adhered to none of the five commitments they had to make to sign up to the scheme, while there was no evidence that Two Ticks workplaces were any better than non-Two Ticks workplaces. He told the meeting: “Whether Disability Confident will be any better remains to be seen. Concerns about Disability Confident were also expressed by Dr Lisa Cameron, the SNP MP who chairs the APPGD. She said she had attended a Disability Confident awareness-raising event, which had been well-attended by employers in her constituency. But when she followed up with those employers six months later, “no-one had made any strides in terms of employing anyone with a disability”. The disabled Liberal Democrat peer Lord Addington said he believed the key issue was the need to implement laws that had already been introduced, because there was already “enough legislation to sink battleships”. And he called on the government to look at where there was “bureaucratic intervention” with disabled people, such as ensuring jobcentre staff were suitably trained to deal with job-seekers, and know the difference between “dyspraxia, dyslexia and dyscalculia” or have the time to seek further advice if they do not. Paul Milton, a disabled campaigner who attended the meeting, said the employment problems faced by disabled people were caused by the failure to enforce existing laws. Andy Shipley, policy manager for the spinal injury charity Aspire, told the meeting that the government was failing to lay out “a coherent vision for disability that cuts across departmental agendas”. He said this vision needed to address barriers such as inaccessible public transport, the lack of accessible housing, an inaccessible built environment and insufficient social care support packages. He said he wanted to know how the government was “going to facilitate the participation of disabled people” and allow them to contribute to society.